A report claims that Paris Saint-Germain are to pile the pressure on Manchester United by tabling a £60m offer for David de Gea. Paris Saint-Germain plan to part with Gianluigi Buffon, Thiago Silva, Dani Alves and Julian Draxler this summer, according to a report. Sports Mole looks at how Bayern Munich may line up for Wednesday's Champions League last-16 second leg against Liverpool. Sports Mole provides the team news, predicted lineups and a full preview of Paris Saint-Germain's Ligue 1 clash with Dijon. Paris Saint-Germain are still in the hunt for Atletico Madrid goalkeeper Jan Oblak, according to a report. Sports Mole rates and slates the performances of Paris Saint-Germain's players during their unprecedented 3-1 defeat at home to Manchester United. Sports Mole rates the Manchester United players' performances following their historic comeback victory over Paris Saint-Germain in the Champions League last 16. Manchester United produce one of their greatest ever European results with a historic 3-1 win over Paris Saint-Germain to reach the Champions League quarter-finals. Ahead of the game between Caen and Paris Saint-Germain on Saturday, Sports Mole looks at how Thomas Tuchel's side could line up in the Ligue 1 match. Sports Mole provides team news, predicted lineups and a full preview of Saturday's Ligue 1 clash between Caen and Paris Saint-Germain. Paris Saint-Germain inflict a first defeat on Ole Gunnar Solskjaer's Manchester United to put one foot in the quarter-finals of the Champions League. Sports Mole previews Tuesday's Champions League showdown between Manchester United and Paris Saint-Germain, including predictions, team news and lineups. Ahead of Tuesday's Champions League showdown between Manchester United and Paris Saint-Germain, Sports Mole selects its strongest combined XI from both squads. Sports Mole looks at how Paris Saint-Germain could line up for the first leg of their Champions League last-16 showdown with Manchester United. Paris Saint-German goalkeeper Gianluigi Buffon acknowledges that his side will miss the injured Neymar when they face Manchester United in the Champions League. Ahead of Saturday's Ligue 1 meeting between Paris Saint-Germain and Guingamp, Sports Mole looks at how the champions could line up. Sports Mole provides team news, predicted lineups and a full preview of Saturday's Ligue 1 clash between Paris Saint-Germain and Guingamp. Liverpool fall to a 2-1 defeat at the hands of Paris Saint-Germain at the Parc des Princes to leave their Champions League hopes hanging by a thread. 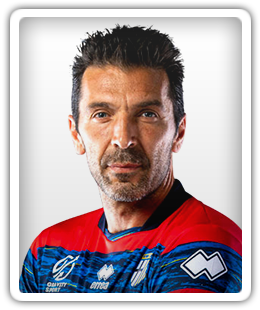 Gianluigi Buffon concedes that Liverpool boast a better front three than his Paris Saint-Germain side as the two teams prepare to lock horns on Wednesday night. Sports Mole previews Wednesday's crucial Champions League Group C showdown between PSG and Liverpool, including predictions, team news and head-to-head records. Sports Mole looks at how Paris Saint-Germain could line up for their crucial Champions League showdown against Liverpool, with Neymar and Kylian Mbappe both doubts. Italian goalkeeper will be aiming to keep Liverpool's attack at bay. David de Gea will turn down the chance to sign a new contract at Manchester United to complete a move to Paris Saint-Germain, according to a report. The agent of Manchester United goalkeeper David de Gea will reportedly meet with Juventus to discuss a potential move. Juventus to sign David de Gea on a free? Manchester United boss Jose Mourinho fears that he could lose David de Gea on a free transfer to Juventus, according to a report. PSG keeping tabs on Manchester United goalkeeper David de Gea? Paris Saint-Germain are reportedly monitoring the future of Manchester United goalkeeper David de Gea, who is yet to pen a new deal at Old Trafford. Sports Mole looks at how PSG could line up for Sunday's Ligue 1 clash with Lyon as the champions bid to extend their perfect start to the domestic season. Sports Mole looks at how Paris Saint-Germain could line up for Tuesday's Champions League meeting with Liverpool. Sports Mole looks ahead of Tuesday's mouth-watering Champions League clash between last season's runners-up Liverpool and Paris Saint-Germain at Anfield. Atletico Madrid manager Diego Simeone insists that Antoine Griezmann and Jan Oblak should have been included in the FIFA award finalists. Paris Saint-Germain complete the £13.5m signing of Eric Maxim Choupo-Moting from Stoke City just moments before the end of the European transfer window. Real Madrid are recognised for last season's exploits in the Champions League by dominating the positional awards at Thursday's pre-Champions League draw ceremony. Paris Saint-Germain come from a goal down to record a 3-1 win over Guingamp in Saturday's Ligue 1 encounter at the Stade Municipal de Roudourou. Neymar is among the scorers on his first league appearance since February as PSG get their Ligue 1 title defence off to a winning start with a 3-0 triumph over Caen. Paris Saint-Germain win the Trophee des Champions for a sixth season running thanks to a 4-0 victory over Monaco in Shenzhen. Bayern Munich overturn a half-time deficit to record a 3-1 victory over Paris Saint-Germain in the International Champions Cup.